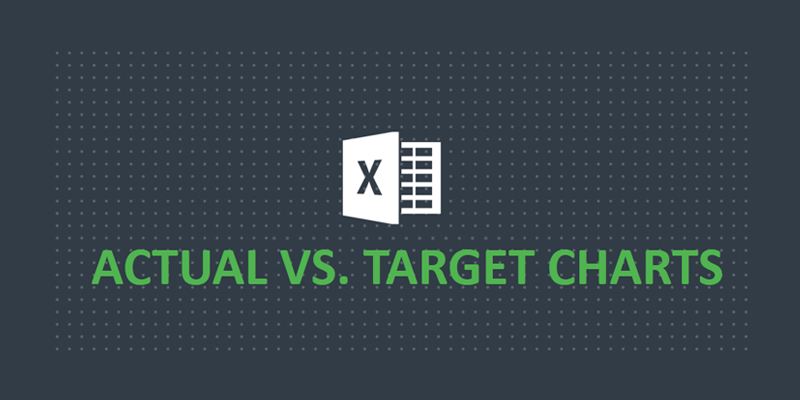 Actual-versus-target charts are Excel charts which demonstrate the comparison between actual and target performance. Best uses for actual-versus-target charts would be a comparison among a group and how each performed versus his/her target, or comparison of time periods for performance. So, something like department budget achievement month-over-month.